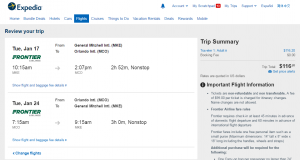 Book a nonstop flight to Orlando from Milwaukee select dates this November-February for $117-$160 roundtrip, including tax. Fly Frontier Airlines and save over $100 compared with typical rates. 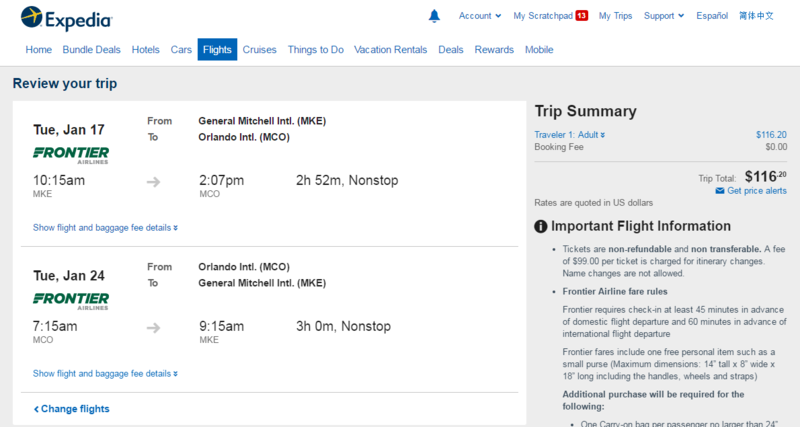 Note: Frontier Airlines charges $25-$60 for the first checked bag depending on when the fee is paid. Check our baggage fee chart for more information.